When your teeth are crooked or misaligned, it affects more than just the appearance of your smile. Crooked teeth are often more difficult to clean, increasing the risk of tooth decay. A misaligned bite can also cause headaches and place added stress on your jaw joints. Orthodontics is a branch of dentistry focused on repositioning the teeth and jaws for a healthier, more comfortable smile. At Dental Plus Clinic in Seguin, TX, Dr. Tejash Patel offers clear aligners from ClearCorrect to straighten minor to moderate misalignment comfortably and discreetly. We also have a board-certified orthodontist on staff who can provide treatment for more complex issues. Whatever your age, we can help you straighten your smile for improved confidence and oral health. Crowding: When the dental ridge cannot comfortably accommodate all of your teeth, the teeth can overlap and become crowded. Spacing: Gaps in your smile can occur due to a number of reasons, including an improper match between the size of the jaw and the permanent teeth. Overbites: When the upper front teeth protrude too far over the lower teeth, this is called an overbite. Underbites: When the lower teeth protrude too far forward, or the upper teeth are too far back, it is called an underbite. Open bites: An open bite occurs when space remains between the front or side teeth when the back teeth touch. Crossbites: The natural position of the bite may involve the top or bottom arch resting too far to either side. Orthodontic treatment can also help if your upper front teeth and lower front teeth do not align properly. This condition is called a misplaced midline. Orthodontic treatment can make your smile look better while providing many important oral health benefits. 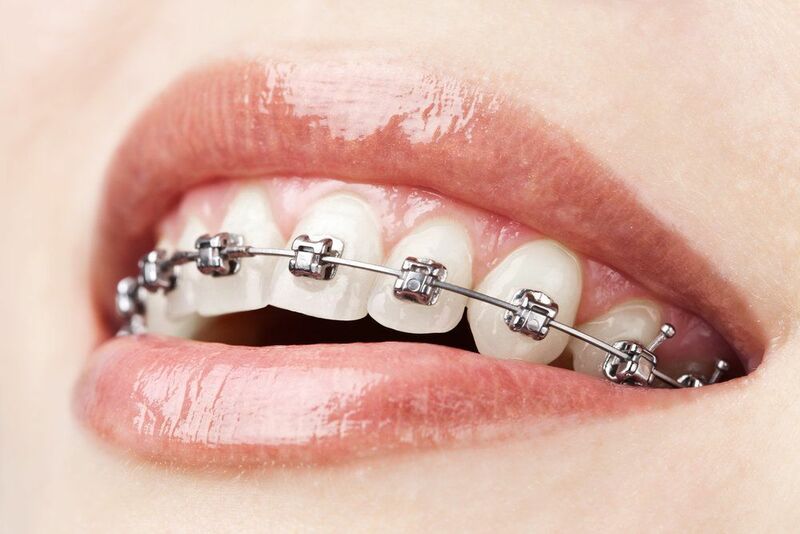 There are a variety of orthodontic treatments available. Depending on your needs, Dr. Patel or our orthodontist can recommend the treatment option best suited to realigning your smile. For minor to moderate concerns, Dr. Patel can provide ClearCorrect, a series of customized clear aligners that guide teeth into place. Orthodontic treatment is an investment in the long-term health and wellness of your smile. Advancements in orthodontic treatment have made braces less intrusive and more discreet than ever. You can speak to our orthodontist about ceramic tooth-colored brackets, clear brackets, and lingual braces, which are placed on the back surfaces of the teeth. Straightening your smile can provide a range of benefits at any age. In addition to creating a more pleasing appearance, orthodontics can improve the health of your smile. Straight teeth are easier to keep clean, helping you avoid tooth decay and other oral health issues. A proper bite is more comfortable and reduces wear on your teeth. After orthodontics, your teeth are much more likely to last a lifetime. Orthodontic treatment is an investment in the long-term health of your smile. Contact our office online or call (361) 354-5888 to schedule an appointment with Dr. Patel. After a detailed analysis of your smile, he can recommend the right treatment to meet your needs.